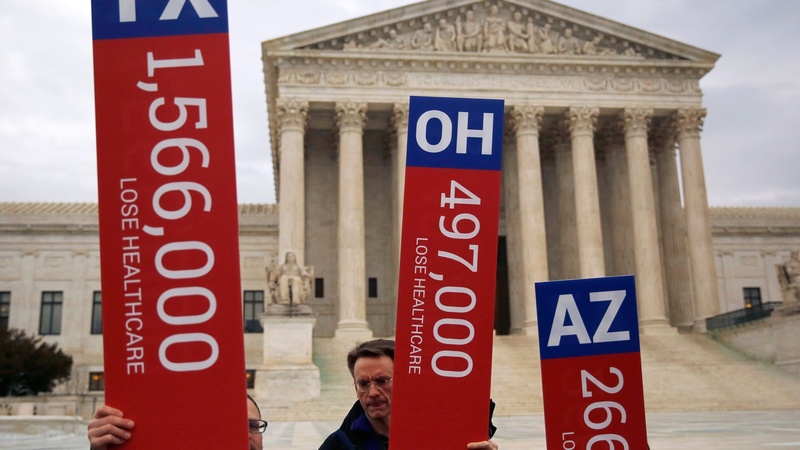 For the third time, the US Supreme Court is considering a challenge to the Affordable Care Act. Federal health insurance subsidies for seven million Americans will depend on how the Justices rule on arguments they heard today. Also, a just released Justice Department report finds widespread racial bias in the Ferguson Police Department. On today's Talking Point, possible oil drilling in the Arctic -- where there's no proven technology available to clean up a spill.